Our 25 Days of Christmas has just barely begun, and all of us here at Plant Therapy is working extra hard to make sure we give our customers an awesome new deal every day! 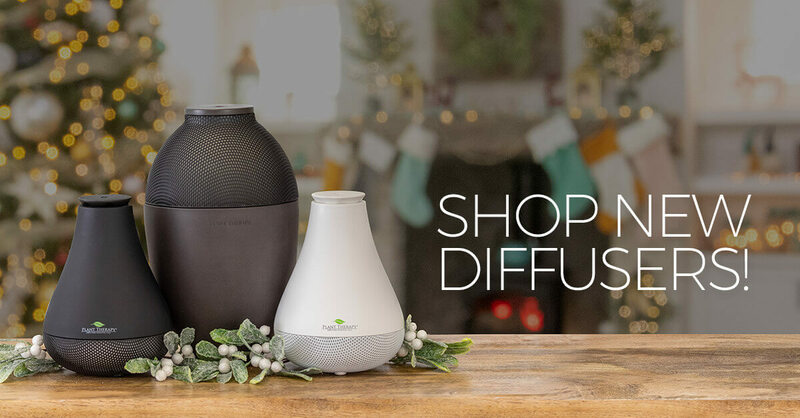 Two NEW diffusers are here! 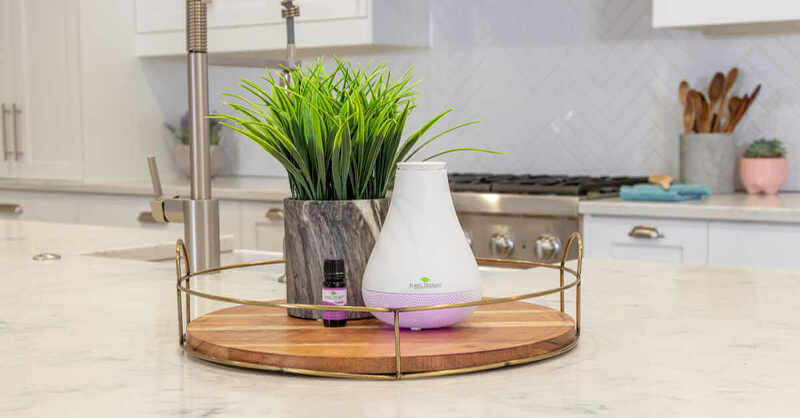 Plant Therapy is rolling out not one, but two new diffusers just in time for Christmas! Our Ultafuse & Novafuse diffusers make the perfect addition to your home. To use, add the essential oils to your diffuser and enjoy! 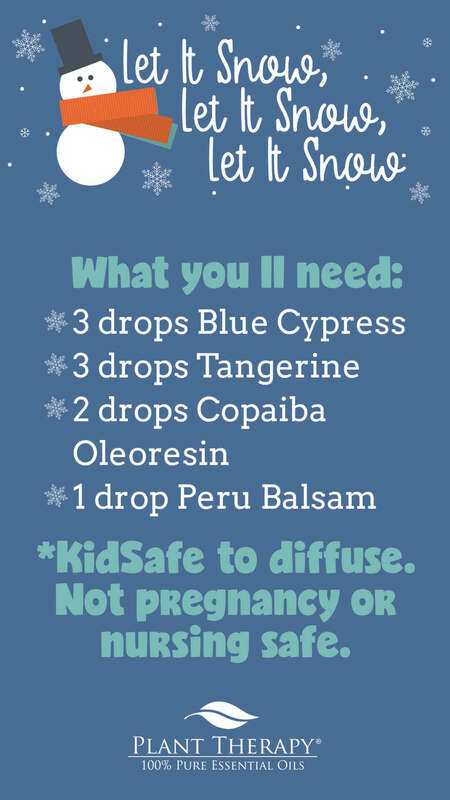 This blend is KidSafe to diffuse, but it not pregnancy or nursing safe. Don’t forget to check out our Plant Therapy DIY page for even more great ideas to keep your home festive this holiday season! It may be time for a new diffuser!! WOW, PT – you are amazing! Saving my points to get an Ultrafuse. I’m very happy to see new diffuser options. I can’t wait to buy one. I wish I would have had the money to get one during the 20% off day. I can’t wait to get the new UltraFuse. Loving the bluetooth capability and the remote. I have heard others say they miss the 30 min on/off setting, but I am looking forward to the one hour timer, So I can diffuse in the A.M. when I start my work at home day. Really hoping for a “use any code” day at the end of the 25 days sale, since I missed it the first time around. I purchased the NovaFuse diffuser and love it! I do wish there was an option to have it run only for an hour or two, though. It’s still a great diffuser and I love the look of it – very sleek. These are so pretty! Really interested in the Novafuse for my office. I must have one of these new diffusers! I can’t decide which one to add to my Christmas list! Love the new diffuser, they are on my wishliat. I’m putting the “let it snow” blend in the diffuser right now! I love the look of both the new diffusers! Also that one has a Bluetooth speaker. They both went in my wishlist. The let it snow diffuser recipe sounds awesome. I will be trying it today. Thank you, thank you, thank you for adding in the kidsafe ok for diffusion! I always wonder if it is ok to diffuse for some of the essential oils (i.e. peru balsam) that have a low max dermal % and you have taken the guess work out. I bet this smells delicious! I will be adding it to my diffuser later tonight! I’ve been looking to get more diffusers for different rooms so I don’t have to keep moving them around my house. Thanks! Love this! I can’t wait to try the USB diffuser at some point. I just put this Let It Snow blend in my diffuser! It smells WONDERUFL! I love the look of the new diffusers. But, I really like the settings of the aromafuse. I hope some diffusers that look like these will have the aromafuse settings in the future! I recently got my first diffuser from Plant Therapy–the AromaFuse,woodgrain. I had hoped that the white version would come back but didn’t want to wait any longer as I was excited to try diffusing. So far, the AromaFuse is great and meets all the raving reviews I read. I love the look of the 2 new diffusers! I see myself getting a new diffuser in the future and one of the 2 new diffusers will be perfect. I love the look of the new diffusers! Adding a speaker is such a great idea. The new diffusers look so cool! Do they still have the intermitted settings like the Aromafuse does? By the way the photography on the blog, the website and on Plant Therapys social media is looking awesome lately! Thank you, Katie! Our graphics team has been working hard to get all of our photography looking good 🙂 The two new diffusers (UltraFuse and NovaFuse) do not have the same intermittent settings as the AromaFuse, but they do have intermitted settings. If you check out their product pages on our website, it’ll give you all the details! WHAT?! There is a blue tooth speaker/diffuser?! TAKE MY MONIES! I am SOOOO excited! This was a BRILLIANT addition to the already wonderful Plant Therapy selections! I have the Aromafuse and LOVE it. But seeing these new ones, especially the UltraFuse with speaker and remote, has me more excited than a kid on Christmas morning! STILL wishing for a small diffuser (bedroom size) with the aromafuse settings for 15min on/30min off or the 30min on/off. I must figure out a way to order the new large diffuser!! Might have to beg for more hours at work. Lol. Love these. I am so excited for these new diffusers! Adding a speaker to it was such a great idea and having a remote and bluetooth makes it really easy to use. Great job PT. I love these new diffusers, so elegant! Cant wait to get my hands on one!! I love the new diffusers! Very excited to gift them this year. I can’t wait to get one of the new diffusers!! I missed the deal but would love to have one. I’ll be looking for the next special on these. I’m totally bummed that I didn’t check out the new diffusers when they were on sale! They look wonderful! I’d like one of each…the smaller one in my bedroom with changing lights and the larger in the main area of the house, plus I LOVE the remote! I wish there was one for the smaller but it does have a timer so that will work for me. LOVE the UltraFuse! The speaker feature is awesome, added to the list! I just ordered the UltraFuse and I can’t wait to try it out. My husband and son think it’s cool that there’s a remote and it’s got Bluetooth. Both of the new diffusers are beautiful. Love the new diffusers. Caught the live in which Paul and Chris showed how each worked. The quality is impressive. Can’t wait to see the aromafuse 2.0. The live today totally convinced me to get one of the PT diffusers! Trying to decide on which style. Also curious as to the answer to th Q above about why this is kid safe but not pregnancy safe blend…. Absolutely love the look of the new diffusers! These new diffusers are so pretty! How does blue cypress differ from cypress? I have just regular cypress. Finally a blend with blue cypress! I was getting pretty desperate for a use besides in my plantain salve! Why is it kid safe but not nursing safe? I would like more information please!